sc.com (the “site”) is owned by Standard Chartered Bank (“Standard Chartered”) and is the site which provides information on the company and the products and financial services offered by Standard Chartered and other members of the Standard Chartered Group. Standard Chartered Bank is a company incorporated in England and Wales with limited liability by Royal Charter 1853, under reference ZC18 and the principal office of the company is situated in England at 1 Basinghall Avenue, London, EC2V 5DD, UK. The “Standard Chartered Group” means Standard Chartered, its subsidiaries, its holding companies and subsidiaries of those holding companies. Standard Chartered is authorised by the Prudential Regulation Authority and regulated by the Financial Conduct Authority and Prudential Regulation Authority. Standard Chartered’s VAT number in the UK is GB244106593. The information and material on this site is not an offer, solicitation, invitation, advice or recommendation for products or financial services provided by any Standard Chartered Group members. The full range of products or services may not be available in all countries. Use of the products or services described on this site may not be permitted in some countries and if in doubt, you should check with your local financial regulator or authority before requesting further information. These products and services may be withdrawn or amended at any time without prior notice. Standard Chartered controls this site from England. Standard Chartered makes no representation that content on the Site are appropriate or available for use outside England. If you choose to access the site from other locations, you do so at your own risk. Transactions with any other Standard Chartered entity outside the UK or other members of the Standard Chartered Group outside the UK are not subject to the UK’s regulatory regime for the conduct of investment business. The conduct of investment business with any Standard Chartered entity outside the UK or other members of the Standard Chartered Group outside the UK is regulated by varying authorities and securities legislation in different jurisdictions as specified on the relevant local sites. The material and information contained on this site and any local site(s) (collectively “Standard Chartered sites”) are provided for general information only and should not be used as a basis for making business or investment decisions. Any information on the Standard Chartered sites should not be relied upon without consulting primary, more accurate or more up-to-date sources of information or specific professional advice, which we recommend you to obtain. Standard Chartered makes no representation or warranty of any kind, whether express, implied or statutory regarding the material and information contained or referred to on each page associated with the Standard Chartered sites. No warranty is given that economic reporting information or data is accurate, reliable or up to date on the Standard Chartered sites. Geographic, political, economic, statistical, financial and exchange rate data are presented in certain cases in approximate, summary or simplified form and may change over time. Reliance has been placed by the editors on certain external statistical data which, though believed to be correct, may not in fact be accurate. The Standard Chartered sites may contain articles and materials written by third party authors or contributors. All opinion or analysis expressed are those of the author (whether the author is from Standard Chartered or a third party contributor) and do not reflect the views of Standard Chartered. Nothing shall in the articles and materials should be construed as asserting or implying Standard Chartered’s endorsement of the author’s views. Standard Chartered’s inclusion of hyperlinks on the Standard Chartered sites does not imply any endorsement of the material on such sites. Any hyperlinks from Standard Chartered sites exists for information purposes and are for your convenience only. Standard Chartered is not responsible for the contents of third party websites. If you visit third party websites, then your rights and obligations while accessing and using those sites will be governed by the agreements and policies relating to use of those third party sites. any computer viruses, Trojan horses, worms, software bombs or similar items or processes arising from your use of the Standard Chartered sites. You click on any hyperlinks or download any software or data from the Standard Chartered sites at your own risk. We may, at our discretion, provide a service whereby you can request to subscribe to and receive e-mail alerts relating to products, services or information offered by Standard Chartered or other third parties (“Subscription Service(s)”). Your use of the Subscription Services will be governed by the separate terms and conditions for use of those services. Your confirmation of subscription to the Subscription Services constitutes acceptance of their terms and conditions of use. Standard Chartered does not guarantee that any e-mails from the Standard Chartered Sites will be sent to you or received by Standard Chartered nor does Standard Chartered warrant the privacy and/or security of e-mails during internet transmission. It is your responsibility to ensure that any user ID and/or password used by you in connection with this site or the local sites or any service provided by means of this site is kept secure, and that no person or entity other than you obtains access to that user ID and/or password, including logging off from any local sites securely to prevent any unauthorised access to your confidential information. 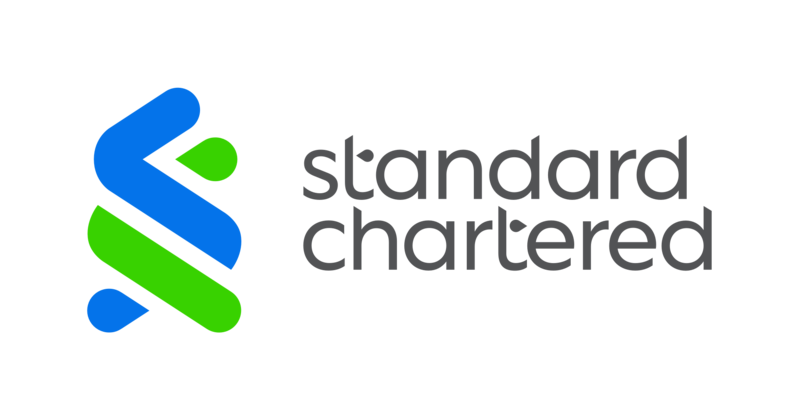 “Standard Chartered”, “Standard Chartered Bank” are registered trademarks, logos and service marks of Standard Chartered plc and no permission or licence is granted to use any such trademarks, logos or service marks without the prior written consent of Standard Chartered plc. In relation to any information or material you submit to Standard Chartered using this site and/or to our social media accounts, you hereby grant to Standard Chartered or other members of the Standard Chartered Group a worldwide, royalty-free, perpetual, irrevocable, sub-licensable right and licence to use such information or material for any purpose it deems appropriate, including without limitation, the copying, modification, transmission, distribution and publication thereof, unless restricted by applicable law. You represent and warrant that such information or material you submit does not infringe the rights of any other third party. You agree that Standard Chartered shall not be under any obligation of confidentiality to you regarding any such information or material submitted to it using this site and/or our social media accounts unless otherwise agreed in a separate direct contract between you and Standard Chartered or required by law. We welcome you to the Standard Chartered Community, where we are committed to engaging and serving you in a timely, open and transparent manner. keep your personal information safe. Be aware that social media is a public medium and information shared on social media may be accessible by anyone. To safeguard your accounts, do not post any sensitive information such as bank account number, credit card number, password etc. and other personal details (eg. NRIC, home address) – yours or anybody else’s, on social media. we will not ask for your account information or sensitive personal information on social media. At times, we may request for your contact details if we need further information to assist you. In such cases, please use Private/Direct Message to share this with us. respect the community. If you use any offensive, aggressive, condescending, or inappropriate language, we will remove such comments or posts. stay on topic. Your comments should be related to the topics posted on our social networks. We reserve the right to delete off-topic comments, and remove any marketing materials, commercial content, and other types of “spam” (such as comments that are posted repeatedly). do not impersonate any person or falsely claim to belong to or represent any organisation. by posting on our social media channels, you understand that your posts, and any ideas or techniques contained in them, may be freely used by us in any way and in any media. Please do not submit any ideas or materials that you wish to keep confidential or for which you expect to receive compensation. we do not endorse or take responsibility for content posted by third parties on our social media channels, also known as user-generated content (UGC). This includes text added and uploaded or linked files such as images, video, audio and documents. opinions, statements and viewpoints expressed by community participants do not necessarily reflect the opinions or constitute an official position of Standard Chartered. we reserve the right to permanently block individuals or groups who post inappropriate content or otherwise breach any of these Guidelines. Standard Chartered reserves the right in its discretion to change without prior notice any information or material contained on the site and the terms and conditions under which this site is used. Standard Chartered may terminate this agreement, your access to this site and use of any service at any time.